Catalyst 8 is the best choice if you want to re-boot your life, achieve maximum fat loss results within a specified 8 week timeframe, are prepared to undertake a minimum of 3 and a maximum of 5 personal sessions per week, and are prepared to do whatever it takes to achieve them – no excuses. Catalyst is an ideal solution if you want an immersive, short term, highly disciplined, high intensity environment. 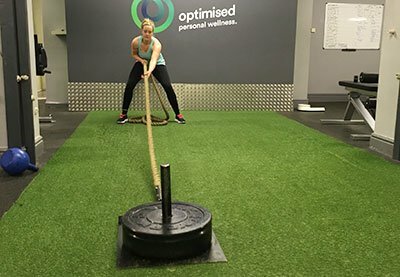 An environment within which to maximise your unique potential, regain control of your life, learn sustainable lifestyle habits, and transform your body. Catalyst is designed to evolve seamlessly into our Lifestyle Lean or Perform services after your 8 weeks have been completed. This way you have a defined path to maximum short term results, and also to optimal long term sustainability and performance. While we’ll expertly tailor your programme according to your unique starting point and capability, Catalyst is not for everyone. 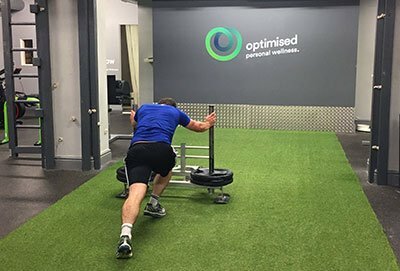 This personal training programme will, however, deliver maximum results within a specific timeframe without resorting to unethical and potentially disastrous practices (for more in this, read our ‘Rapid Body Transformations – Desirable or Dangerous’ blog post). Who is Catalyst for and what do we expect from you? What’s different about the Optimised Catalyst transformation package? Our approach is comprehensive, holistic, science based and research driven, and 100% natural (no steroids, ever). Catalyst is about provoking maximum change throughout your life and your body within a short period of time in order to achieve maximum results. In the process you’ll reset your body, your mind, and your life. As the name suggests though, the experience we’ve exactingly put together and the results it achieves are designed as a Catalyst for further change, and isn’t a short term, unsustainable end point in itself. Most people who follow our Catalyst protocol transition to Lifestyle Lean or Perform after the 8 weeks so you get to keep your results and gain a lifestyle driven, sustainable approach to your body, your health, and your personal performance. Our Catalyst 8 week personal training programme isn’t the right starting point for many people. If it’s not the right starting point for you, you’ll probably find our Lifestyle Lean option is.